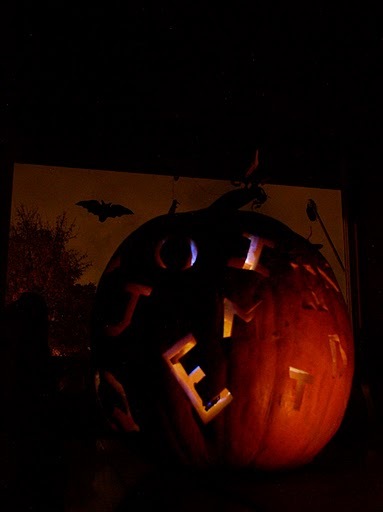 Still MY FAVORITE PUMPKIN EVER. Carved by my dear friend, author John Burridge and family. Is it trick-or-treat time yet?!? The Alphabet Players wish you all a safe & happy Halloween. Two more days until Halloween! Which means that — barring a Caldecott Award or something equally as awesome — only two more days for me to bombard the world with all the awesomeness that’s been showered upon AlphaOops: H is for Halloween . It’s no lie — I really have enjoyed visiting all these review sites that pop up and seeing what they’re all about. I’ve enjoyed reading the reviews too — which, in the main, seem to be positive. The only thing anyone can find that’s “bad” to say about the book is that it might be confusing, difficult, even inappropriate, for young children because the alphabet is not in order. It’s been considered as possibly not a good read-aloud. One review (I think this was on Amazon ) even mentioned that the costumes were not appropriate because children today do not dress up as monsters. These reviews make me chuckle. If you read my Big Idea over at Scalzi’s blog back in July when the book officially launched, you know my stance on alphabet books (in a nutshell: I think they are boring, self-serving drivel). 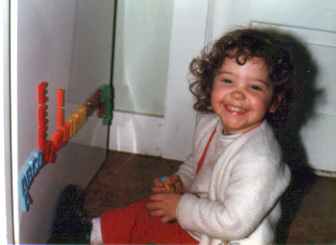 I knew the alphabet as soon as I learned to speak (see pictured evidence above). Most kids do. They’ll rattle off the alphabet song at the drop of a hat and not even realize it’s the same tune as “Twinkle Twinkle Little Star.” How old were you when you learned the alphabet? Obviously, I don’t think mixing up the letters a bit harms children, or their ability to learn, in any way. If anything, I hope they find the alphabet a little less boring. I hope they identify with the letters as characters and think of them as just another crazy little family. They are certainly nothing to be scared of. This summer, when I sat at the Charleston Public Library booth during Spoleto with my coloring pages and word find sheets, two types of parents passed me by. One group said, “That’s too old for you.” The other group said, “That’s too young for you.” These comments made me chuckle as well. The truth is that, while it says 4-8 on the sales copy, that’s just a suggestion. You can read it to your two-year-old, and your ten-year-old will get some jokes the younger ones won’t. Even adults have written me fan letters, telling me they wish their corporation would embrace such out-of-the box AlphaOops-ish thinking once in a while. 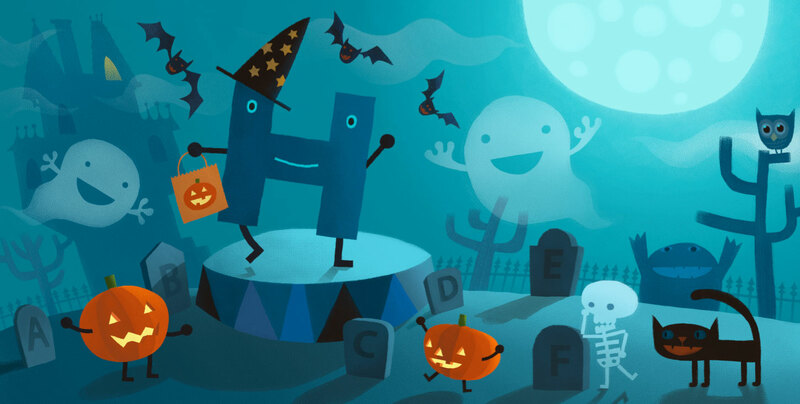 AlphaOops: H is for Halloween isn’t just for kids. It’s not “just” for anybody. It’s for everybody — everybody who is in some way part of a big family, everybody who loves theatre, and everybody who loves Halloween. And who doesn’t love Halloween? 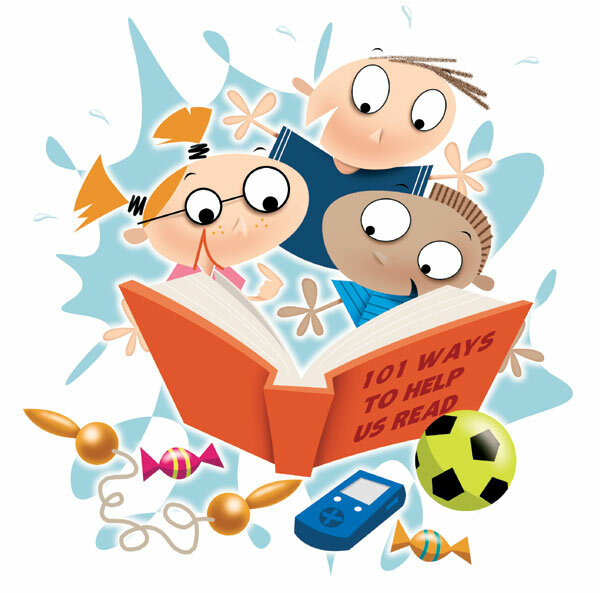 All of these sites are great sources for fabulous kids books. If you’re a parent, teacher, or librarian, consider adding them to your bookmarks! After their Werewolves and Shape Shifters: Encounters with the Beasts Within giveaway, I was asked to do a lovely guest interview over at The Qwillery. I was given some great questions, and I had a chance to open up and answer them from the bottom of my heart. I was so far down in the bottom of my heart, in fact, that I might have spilled a few beans while I was spilling some virtual ink. If you’re the curious type, I highly suggest you click on over here and read the interview. But save your kudos for the party! If you’re happy to wait a spell, my fantabulous news will arrive in a week or so. Possibly less. Just hold on to that confetti and keep checking back! I got all fired up this morning over the Today Show and the whole bullying thing — that essay took me a good chunk of the morning and drained me so much that I needed a nap after lunch. (Well, that and the 4-plus miles I ran at the gym while being all fired up.) And so I apologize for keeping you in suspense about the winners of the AlphaOops contests. But wait ye shall no more! The slightly depressing thing about holding contests is that I know a lot of the people who enter them. I wish they all could win, but I know they can’t, and I know they will continue to stay my friends (which is what makes my friends awesome). But it also makes me EXCEPTIONALLY happy to announce winners that couldn’t have been better picked if the deck had been stacked (which it wasn’t). The winner of the AlphaOops Scavenger Hunt/Photo Contest is: Paula and Mark Beauchamp! Paula and Mark are known to many on the Brian Keene Message Board as Mr. and Mrs. Rude Rabbit. They are two of the most exceptionally kind and generous folks on the planet, and it’s been an honor to know them better over the past year. 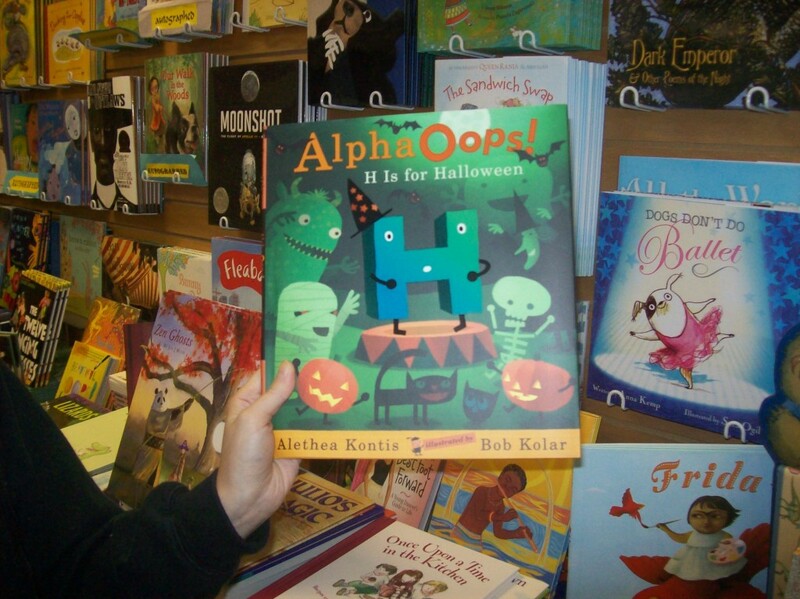 I couldn’t be happier to give something back to such wonderful people.Their entry came from an independent bookstore in Oak Park, Michigan who actually had a copy of AlphaOops: H is for Halloween in the store. Huzzah! I should get their address and send the bookstore something nice as well. Congrats, Mark & Paula! Big hugs from me! 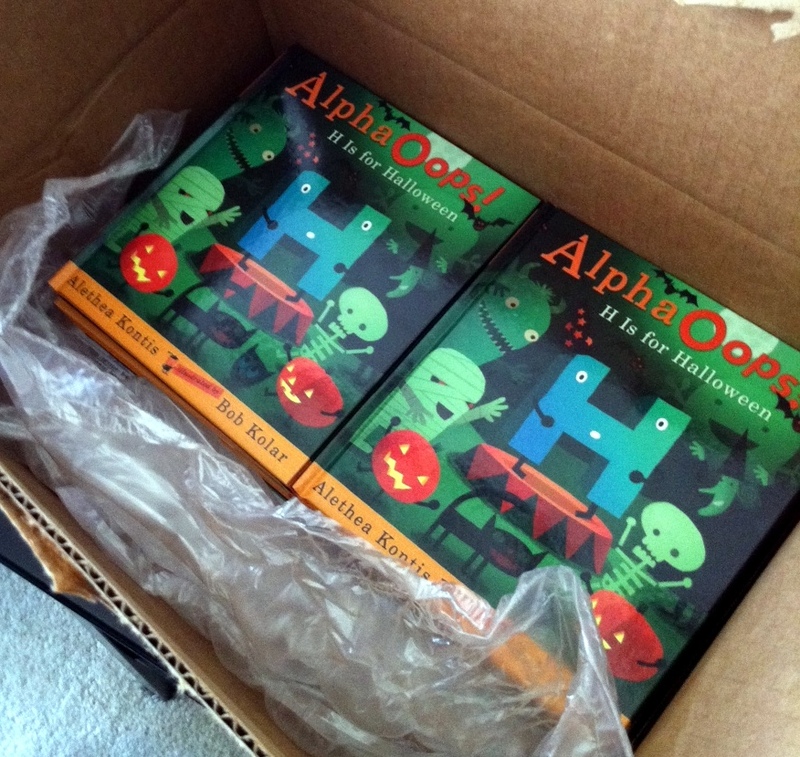 The winner of the Goodreads AlphaOops: H is for Halloween contest is: Jim C. Hines! You can imagine my delight when I woke this morning to a Tweet from my dear friend, fellow author Jim C. Hines, telling me he’d won my book! 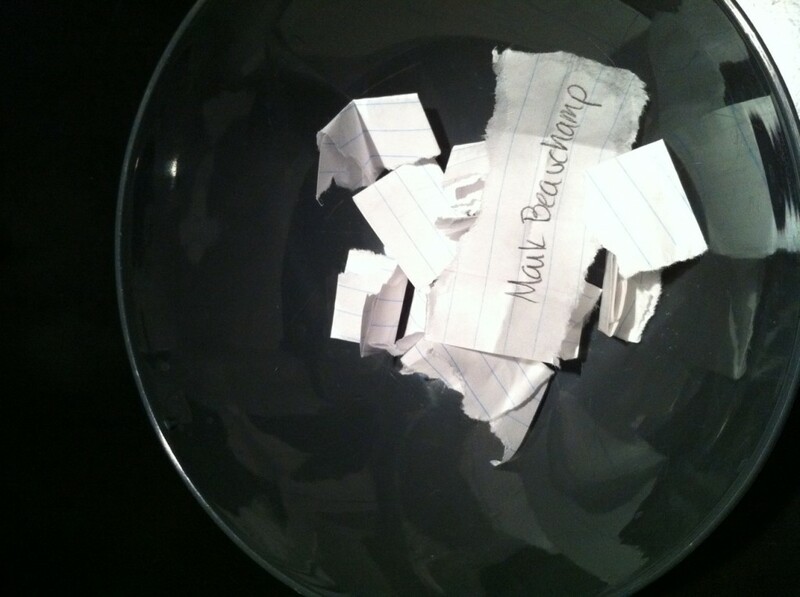 According to the Goodreads stats, 625 people entered the contest. Can you believe it?!? And Jim won! I did a very super happy dance. I bet Jim did too. What’s that? You haven’t read Jim’s books? Well, he’s a fairytale virtuoso too — you should click over to his website and go check those out right now. Go on. I’ll be here when you get back. Another gem of a website brought to my attention by Google: AlphaOops: H is for Halloween has been mentioned on Anthea Bailie’s “Fishing for Anthea” site. 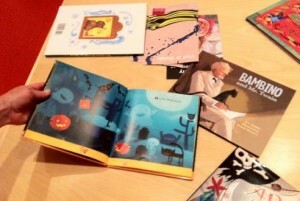 Her blog is a list of children’s books that she has enjoyed (or not) and recommends to readers. The books are tagged for age level and other characteristics that make the site a searchable tool. — Those crazy alphabet letters are at it again. A few years after their first adventure, detailed in “AlphaOops! 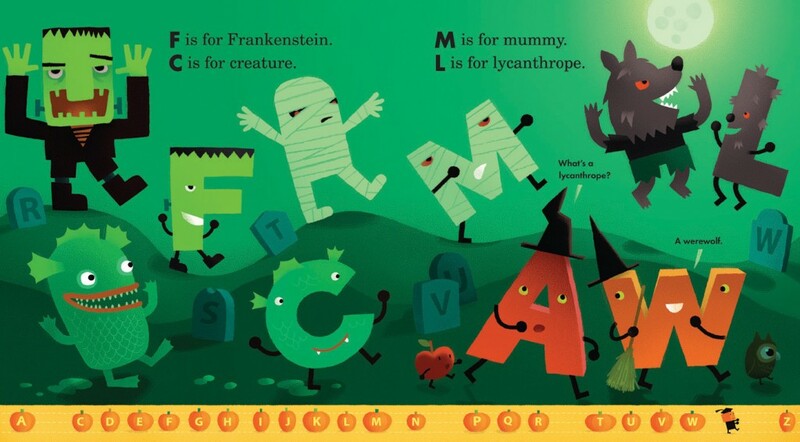 : The Day Z Went First ,” the letters are now trying to put on a Halloween show in their latest volume, “AlphaOops: H is for Halloween ” (both books Candlewick Press, $15.99 each). But it isn’t easy when each of the letters has its own idea of which of them should show up on stage next. Should it be “N is for Nightmare”? What about “V is for Vampire”? Poor B is the only letter that doesn’t seem to be able to shine, until he finally discovers a side he never knew he had. Author Alethea Kontis’ text is a riot of energy and humor, while artist Bob Kolar’s illustrations bring the letters to raucous life. (Ages 5-8). 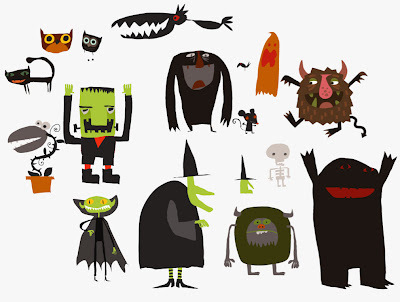 Click on over to find some other great Halloween books for kids!